Cafe chain, Fernandez & Wells (http://www.fernandezandwells.com/) and Levantine Kitchen Hummus Bros (http://www.hbros.co.uk/new/home.php) are among the first retailers in London to roll out mobile payment and loyalty app, Yoyo (http://www.justyoyo.com). The app, which is already live across Imperial College London’s South Kensington campus, and is in the process of being integrated at the universities of Greenwich and Westminster, will soon be available at a total of 62 retail outlets across the capital – with even more locations set to follow, including Brunel University. The app will greatly simplify the process of paying for goods at Fernandez & Wells’ six London outlets, including its newest venture, a space inside fashion brand Jigsaw’s store on Duke Street, Mayfair. And, on top of cutting queues for coffee – particularly at peak times – Yoyo will provide Fernandez & Wells with a marketing and loyalty platform that enables it to reward frequent customers. Total integration across Fernandez & Wells’ six cafes and Hummus Bros four London outlets is underway. 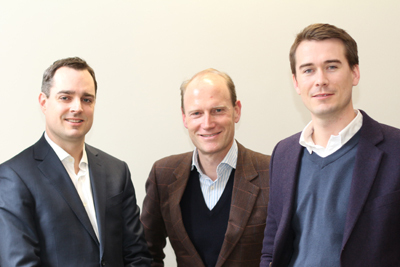 Founded in 2013 by Alain Falys (Founder of OB10, ex Visa), Dave Nicholson (Founder of Zopa, ex Egg) and Michael Rolph (ex PayPal, Barclaycard and First Data), and released earlier this year, Yoyo aims to simplify and speed up in-store transactions by combining payment and loyalty via one easy scan – resulting in a better customer experience. The app is already in the process of being made available to 90,000 students across the capital, and is currently handling an average of more than 30,000 transactions per month across 32 food and drinks outlets at Imperial College London. Last month, Yoyo announced that it had raised US$5m in seed funding, one of Europe’s largest seed funding rounds this year. The company is using the funds to continue to grow its partnership programme with Point of Sale software vendors and leading catering companies, before it looks to raise a Series A, later in the year.